The Oakland Camp Bridge (9C-0101) is a 90-year old single span bridge consisting of steel stringers with a corrugated steel deck surfaced with AC on RC abutments. 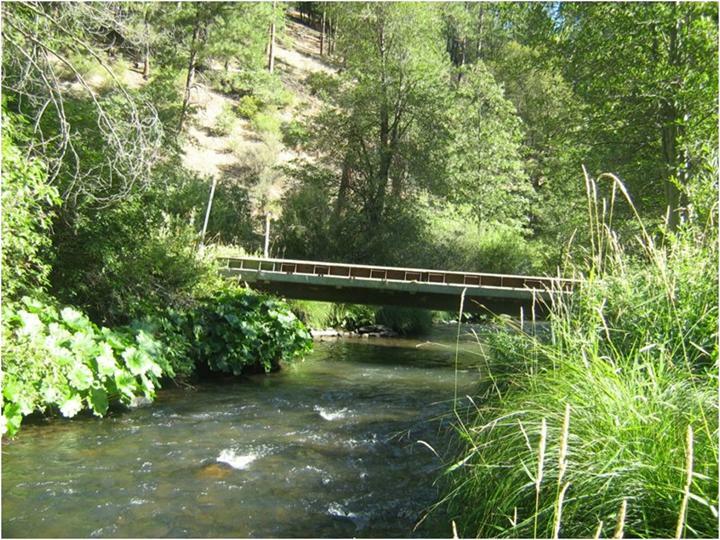 The 35’ span and an adjacent concrete low water crossing provide the only vehicular access into the recreational facility known as Oakland Camp. The camp is operated by the City of Oakland under a Special Use Permit from the Plumas National Forest. 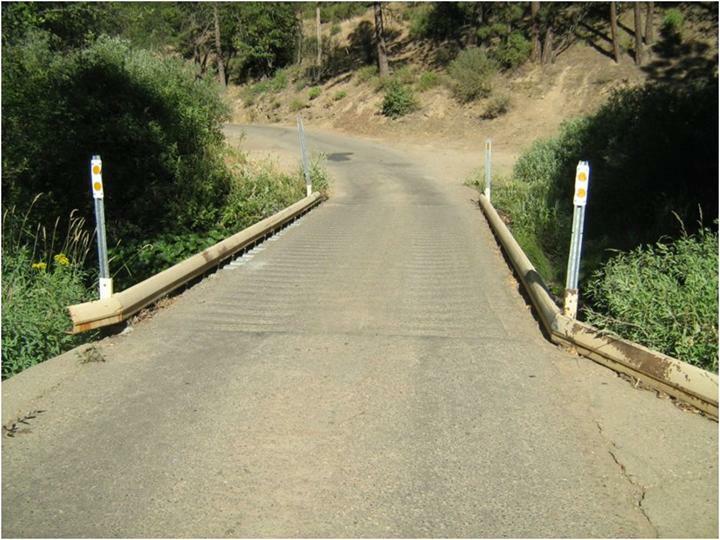 The low water crossing is typically covered by 4”-6” during spring and early summer but during the winter the water depth makes it impassable. 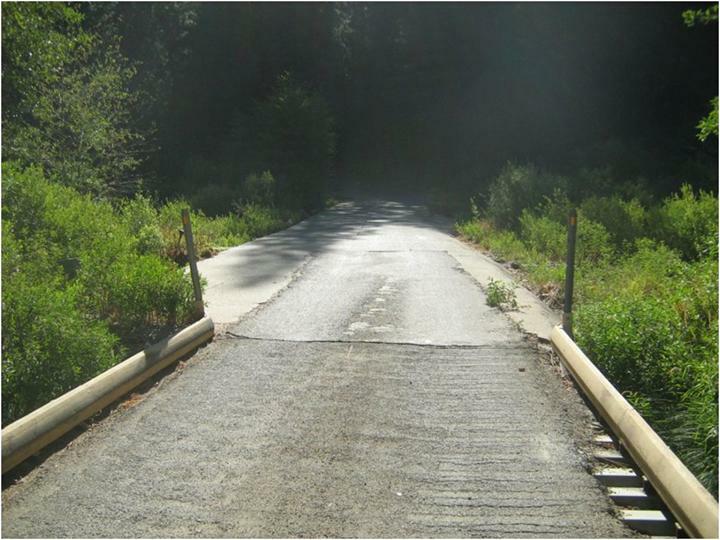 The bridge and low water crossing consist of a single lane (11’) causing concerns for emergency ingress/egress during the summer wildfire season. The project will consist of the replacement of the existing bridge and low water crossing with a new two-lane bridge spanning the entire width of Spanish Creek.